The new HP Ink Tank Wireless 415. Official HP distributor, Drive Control Corporation (DCC) has launched the new HP Ink Tank Wireless 415 printer for SoHo and SMB users to the South and Southern African channel. Developed to deliver maximum costs savings and productivity, the HP Ink Tank Wireless 415 prints up 8 000 pages in colour and 15 000 in mono with HP's colour and black ink bottles. "With the Ink Tank Wireless 415 printer, HP is setting the benchmark for low-cost, crisp and professional printing. The ink tank system allows users to truly maximise their output while reducing the total cost of ownership. This is paramount in a time where cost savings are crucial," comments Caron De Fortier, HP Printer and Supplies Business Unit Manager at DCC. Incorporating HP's original high-capacity ink tank system, the HP Ink Tank Wireless 415 original inks are formulated to deliver darker, crisper text and vibrant graphics. Photos are also water- and fade-resistant, lasting up to 22 times longer which is ideal for high-quality marketing materials and business documents. Also, replacing the ink tanks is simple and fuss-free; with HP's innovative spill-free refill system, the bottles can simply be plugged into the tank without any squeezing required. Ink levels are also easily visible because of the transparent ink tanks. 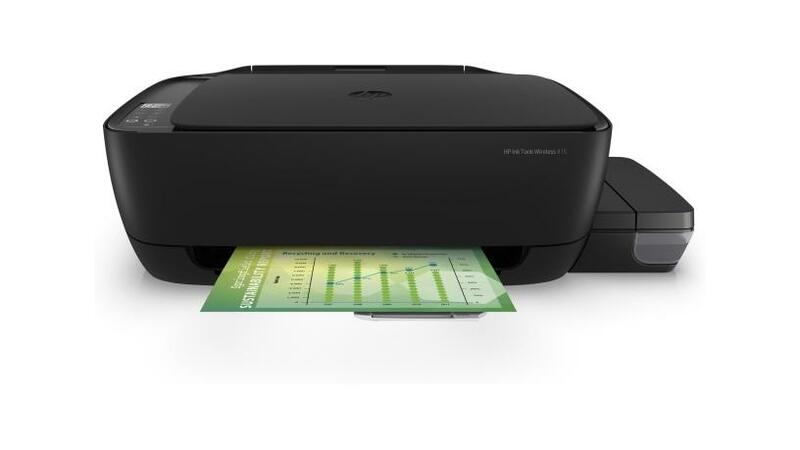 The HP Ink Tank Wireless 415 printer incorporates a WiFi Direct function which means it can used by a variety of mobile devices including iPhone and iPad, using HP AirPrint, as well as other smartphones and tablets running Android, Windows 8 or Windows 10. * Connects users' smartphones or tablets directly to their printers and prints without accessing a network. The HP Ink Tank Wireless 415 printer ships with a one-year warranty.